Football is a beautiful and interesting sport especially if you play it as a pro. It can also be a tough game if you are not particularly good at some few things. Therefore, you need to learn and practice some few football tips and tricks with your team to be able to emerge as the best. As a running back, you should practice and practice even more on the hand-off. You can use an easy and simple drill for hand-off; whereby all running backs are lined up in two opposite lines that we can call A and B. A football player should leave line A with the ball and runs at line B. Also, another player from line B should leave his line and runs towards the player from line A. As these two players pass each other in the center, the player from line A should hand off the ball to the player from line B. At the time of handing off another player from line A leaves the line and runs towards player B, who hands him the ball he hand taken from the first player from line A. This should be a continuous. This is an awesome drill to help and teach running backs easily practice hand-offs. It is very important to practice angle tackles together with your team’s defense. This is mainly because not all tackles are made with the opponent in front of you. This could be done by having one player running with the football on a straight line on the field with a defender running at any given angle. The defender will need to quickly adjust his body. Adjusting his body quickly will enable him to cover the shortest distance towards the football carrier, and quickly making a stop by placing his two-foot in front. He will need to remember his safety by placing his head in front of the football carrier. The defender should quickly follow through with the angle tackle by accurately straightening his both knees in an exceedingly lunging motion, wrapping his two arms round the football carrier to push him off or pulling him down. Linemen should practice and perfect the simple and yet important simple block driving. It is one of the most fundamental moves a football player can have, which every footballer should know. The drive block is very simple and it is the best way you can use to move your opponent. In case the defensive lineman is slightly on the right side of the offensive lineman, then you can use block drive to push the defender to the right. Block driving can be executed by bolting off the right line with your right foot; however, if the play taking place your left side then you should use your left foot. Use a lot of strength to connect against the other team, bring the other foot and continue to block drive in the allied direction. Good running backs and even receivers know how to make excellent plays. Making the plays is simple terms means that the player has practiced the “non-optimal” conditions and knows exactly how to react to them. One of the most common situations in a football game is catching lower passes. Here are some good secrets you can use to catching this kind of passes. First, you should maintain the pinkies together low down making a shovel. Then keep both your hands low as you lock your pinkies. When you lock your pinkies, you will be able to prevent the ball in your hands from falling. Once the ball is in your hands, quickly scoop it up, and without wasting time tuck it away. Remember, the rule of the thumb here, is, use your hands and not by any chance your body. Always ensure you watch the football through from the first time you observe it in the air until when it is in a secure carrying position. Lastly, always concentrate on catching the ball first and then you can start worrying about the defense, and scoring points or more yards. Conditioning is ideally meant to increase the reaction time, endurance and speed on the football field. Most players and coaches like using this drill because of its focus on accuracy and speed. You can set up this drill in a mat or any place on the field with five dots, which are a foot away from each other and it should form an X shape. This easy and simple drill starts with a football player starting on 2 of the outside dots and jump feet with both legs to the middle and jump feet out again to the dots at the edge separating their two feet. The next phase of this drill is having the football player touching each of the five dots with one foot, and then switching to other foot. The third phase is jumping on all the dots with two feet. The last step is returning to the first phase of jumping apart and then together, however the player, this time, will need to change directions after jumping to the outer dots. If you want this drill to be effective, you will need to increase your accuracy and speed. 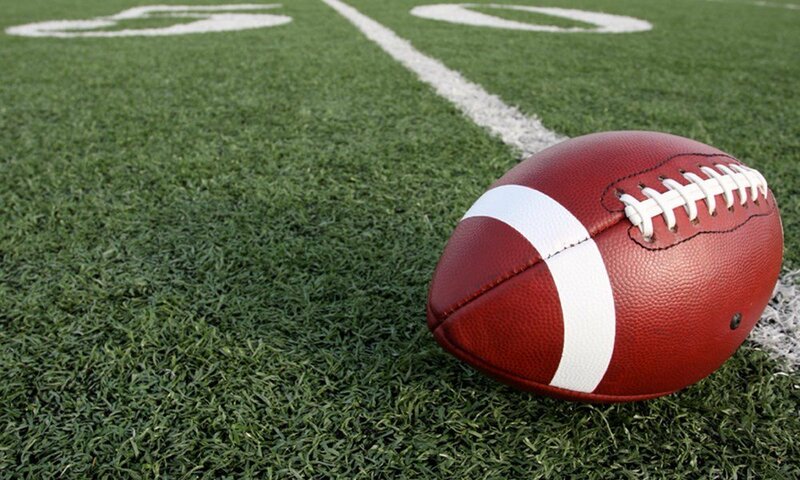 So, go ahead and start practicing and using these football tips and tricks today. Once you have mastered and perfected all the mentioned tips above, there will be nothing stopping you from becoming a pro.